Summary in English language: Due to the lack of skilled workers, companies in Austria, Germany and Switzerland face the risk of growth limitations. So, attracting talents has become a critical success factor. 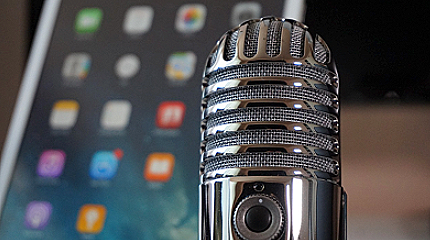 How work innovation can contribute to winning talents, is discussed in this podcast with Prof. Michael Bartz at IMC University of Applied Sciences Krems. Warum Firmen ohne New World of Work fast keine Chance haben, weiter zu wachsen in Österreich, Deutschland und der Schweiz. Wie sich New World of Work für Unternehmen rechnet, und zwar in klaren Zahlen, Daten und Fakten. Abstract in English language: Last week I had the honor to award the best Austrian companies for New World of Work, Diversity and Learning. It is Paysafe, Merkur and Russmedia. Go meet them, to learn from the best. Letzte Woche hatte ich die Gelegenheit, in drei Kategorien die besten Arbeitgeber Österreichs gemeinsam mit Ministerin Schramböck und Great Place to Work Geschäftsführerin Doris Palz auszuzeichnen. Die erste Kategorie war das “Neue Arbeiten”. Gewinner ist die Firma Paysafe in Wien. Paysafe hat es geschafft, in nur drei Jahren die eigene Haltung gegenüber Arbeit komplett “umzukrempeln”. Das Arbeiten in dieser Firma wurde komplett flexibilisiert – nach allen Regeln der Kunst. Bemerkenswert. Wer sich die neuen Arbeitswelten bei Paysafe näher ansieht, wird auf auf neue Sichtweisen stossen, wie z.B. Funktionszeit oder die Mitarbeiterwolke. Es lohnt sich, der Firma einen Besuch abzustatten und von den gesammelten Erfahrungen zu lernen. Die zweite Preiskategorie war das Thema “Diversity”. Gewinner ist Merkur Österreich. Merkur hat alle Gruppen, die eher am Rand unserer Gesellschaft stehen, in seine Mitte geholt, wie z.B. LGBITQ, ältere Menschen (lebenphasenorientieres Arbeiten), Flüchtlinge, Personen mit Lernschwierigkeiten, Personen mit Behinderungen. Wer Best Practice kennenlernen möchte, sollte sich an Merkur wenden. Die dritte Preiskategorie war das Thema “Lernen”. Gewinner ist Russmedia. Russmedia hat dieses Thema ganzheitlich umgesetzt: Lernen von den Besten – MitarbeiterInnen können z.B. Stanford-Zertifikate erwerben. Wissenstransfer intern, z.B. zwischen den Generationen, ist ein zweiter Schwerpunkt. Und Lernen erfordert Reflektion. So gibt es zum Beispiel den Boxenstopp für Führungskräfte, der das Einhalten und Reflektieren (Was tue ich da eigentlich?) ermöglicht. Abstract in English language: SAP is heading towards mobile working on a large scale. 22.000 employees will be granted the right to choose any workplace; may it be in the office, or not. “Firmen reden oft vom Homeoffice, aber im Alltag ist vielen lieber, dass die Belegschaft brav im Büro sitzt. Bei SAP gibt es nun eine Vereinbarung, die auf einen Homeoffice-Anspruch hinausläuft. Der Softwarehersteller SAP lässt seine rund 22.000 Mitarbeiter in Deutschland künftig weitgehend frei entscheiden, von wo aus sie ihre Arbeit erledigen. Unternehmen und Betriebsrat haben eine entsprechende Vereinbarung ausgehandelt, wie Personalchef Cawa Younosi erklärte. Die Beschäftigten könnten ganz normal ins Büro kommen, sie könnten aber auch zu Hause, vom Café oder vom Schwimmbad aus arbeiten. Die Wünsche müssen allerdings jeweils mit den Vorgesetzten abgestimmt werden. “Der Mitarbeiter und die Führungskraft einigen sich formlos, das geht per Mail, per SMS oder per Kalendereintrag”, sagte Younosi. SAP hat das Konzept seit 2016 bei der deutschen Vertriebstochter getestet und weitet es nun aus. Zwar hätten sich die Mitarbeiter auch bislang mit ihren Chefs auf Mobilarbeit verständigen können. Mit der offiziellen Regelung sei es nun aber generell erwünscht, dass die Führungskräfte es ermöglichen. Abstract in German language: Holacracy läuft beim Online-Shop Zappos noch nicht ganz rund. Hier ein Interview mit dem CEO Tony Hsieh. 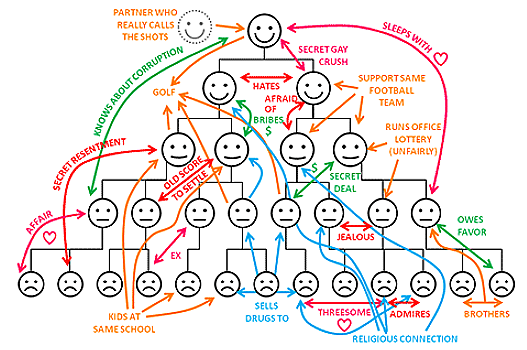 Zappos is trying hard on Holacracy. See here an interview of Business Insider with the CEO Tony Hsieh. “A few days into the new year, 50 employees quit their jobs at Zappos. That was OK with CEO Tony Hsieh. It was the deadline for the 150 employees working on an intensive tech project to decide if they wanted to take a severance package or begin working under the self-management system known as Holacracy. Under it, there are no traditional bosses or job titles, and the standard hierarchy is eliminated. Hsieh made the offer last March to this team and the greater body of 1,500 Zappos employees with separate deadlines, and ultimately 260 employees — 18% of the company — took some form of it. It’s a big year for Hsieh (pronounced "shay"). His e-commerce site, known for its wide variety of shoes and headache-free customer service, is rebounding from this radical shakeup and now moving toward becoming a mobile-first company with significant profit growth. Additionally, 2016 is the year that Hsieh’s other focus, the four-year-old Downtown Project movement to revitalize Zappos’ Las Vegas neighborhood, is supposed to finally bring back a return on the $350 million that Hsieh personally invested into it. We recently sat down with Hsieh in Zappos’ Vegas headquarters to discuss his ambitions for the year, why he decided to reinvent the way his company operates, and why he thinks it will ultimately prove to be worth the struggle. Richard Feloni: So here we are, January 2016. Looking back at 2015, what do you think? How did the year go? Tony Hsieh: It was definitely an eventful year. There were a lot of changes both internally and externally here at Zappos. We went all in with Holacracy, which is really about self-organization, self-management, having employees really think about how to self-direct their work, rather than managers telling them what to do. And then externally, on the customer side, we really made a strategy change and decided to focus on what we’re internally referring to as our "best customers" — really focusing on the brands they want, elevating the level of service, the amount of personal contact. So it’s been a pretty interesting and exciting transition on both of those ends. Feloni: Let’s talk about Holacracy. You first heard about it at the 2012 Conscious Capitalism CEO Summit, and you then approached its creator, Brian Robertson, after his presentation on Holacracy. How did you decide the system was right for Zappos? Hsieh: Holacracy happens to be the tool we’re using today, but the bigger theme is about self-organization and self-management. Many years prior to meeting Brian, I had a nagging sensation that as we kept getting bigger, we kept getting more bureaucracy built into the corporate structure. Because I wanted to stop this trend, I was spending a lot of time thinking about how we could avoid losing a startup edge and how we could empower every employee to act like an entrepreneur. I was looking at the weaknesses of the typical corporate structure and how it’s not been resilient. If you look at the Fortune 500 companies from 1955, 88% of them didn’t make it to 2014. Then you look at what structures do work in nature, like the human body, and they’re all structures that are self-organized. Frederic Laloux captures this best in his book "Reinventing Organizations," where he refers to these as "Teal" organizations. Feloni: Another book that has influenced you in this area is Harvard professor Edward Glaeser’s "Triumph of the City." Hsieh: The easiest example of self-organization for people to wrap their minds around is a city. The mayor of a city doesn’t tell its residents what to do or where to live, and when people and businesses act in their own self-interests, that creates opportunities for growth. An interesting thing about cities is that Glaeser’s research has shown every time the population of a city doubles, innovation or productivity per resident increases by 15%, but the opposite happens when companies double in size. Over the years at Zappos, I’ve done a lot of research into how we can prevent the default future for most companies: death. And not only how do we avoid that, but how do we become more innovative as we grow, in the same way that cities do? That’s why we pursued self-management. Feloni: What do you think is the biggest misconception people have of Holacracy in particular, or self-management in general? Hsieh: The biggest misconception is that it’s just total chaos and there’s no structure. It’s interesting, because there actually is more structure in some cases and more explicit documentation on what people’s different roles are, what their account abilities are. It’s easy, though, to just read the headline of "No managers" and assume that that means no hierarchy. It’s actually a hierarchy of purpose. Instead of a pyramid, power is distributed across different circles dedicated to specific functions — we have about 500 circles at Zappos, and they fit in a hierarchy relative to one another. A problem with Holacracy is that it’s hard to explain very succinctly. Our training process takes awhile, and then even after you’ve gone through that, it still takes several months to really understand how to operate inside of it. Another thing to remember whenever you hear someone explain how they either love or hate Holacracy at Zappos is that we’re in the super early days of it. It’s like this: If you got handed the latest iPhone running on the latest iOS, but there were no apps on it, then you would think that it was probably useless. Part of what we’re going through right now at Zappos is that we’re creating those apps for the Holacracy operating system. Since it’s the first time we’re doing it, some of those apps turn out to be great and some may be false starts, but it’s all an evolutionary discovery process and we share our findings with the world. Hopefully, there are other companies out there that can borrow or modify our apps and then over time, there can be a whole ecosystem of companies that are thinking about "How can we move beyond the traditional command and control type of structure?" It makes the difficulties worth it. Feloni: What were you seeing at Zappos that prompted you to offer a severance package to employees last March if they didn’t want to go all-in with Holacracy? Hsieh: At that time, only 85% of the company had made the transition to the system. And what we found was that it was really hard for people to be half in one world and half in the other because, if under Holacracy they had certain authority to do something but their manager still functioned as if it were the old world, then conflict could arise. The default became falling back on habits, and so it hindered the whole adoption process. That’s why I set a hard deadline of moving to full implementation on May 1, so that we could just "rip the Band-Aid off." Feloni: About 14% of your employees left by May 1, and then by January 4, 50 more employees working on the Super Cloud outsourcing of the website’s basic functions to Amazon’s servers took an offer, for a total of 18% of the company. Did that hurt at all, to see that reaction? Hsieh: So we put out a super generous offer, which we’ve done in the past anytime there were big transitions, like when we moved from San Francisco to Las Vegas in 2004. The offer then and the offer last year was they could either stay or take three months’ pay or one month’s pay for every year they worked, whichever was greater. There were some employees that had been with us for over 12 years and basically they had the option to take a year’s severance. This new environment isn’t right for everyone, because some employees just want to know what steps one to 10 are and be told by a manager that they’ve done a good job when they finish. In this new self-managed world, employees sign up for a role or a circle, and each of those has a purpose associated with it that employees have to figure out how to make come alive. And so it gives them a lot of freedom, but I understand at the same time that amount of freedom can be super scary for some people. What we found, though, was, at least anecdotally, that about half of those who took the offer did so not because of Holacracy, but because they really had wanted to actually go out and do something else they were passionate about, like start their own business. Because now, with a year’s severance, for example, they had the funds to try it out and they also knew that they could, 12 months later, come back to Zappos, which we allowed them to do. I heard a story about someone who took the offer because she considered it a good opportunity to take care of a sick family member in Texas. Feloni: So do you feel like giving this offer was a necessary decision that you had to make? Hsieh: It’s just more in line with how we’ve always done things at Zappos. We could have just as easily not given any offer and then just said, "This is what we’re doing." But we’ve always prioritized company culture and how we treat employees. We actually still do this for all our new hires: They go through a five-week training program and at the end of the five weeks, they can take $2,000 and quit. We want to make sure that employees aren’t here just for paychecks and truly believe this is the right place for them. Feloni: And if your vision is realized, what will success look like under this new self-managed Zappos? Hsieh: I want employees to operate in the intersection between what they’re passionate about and what’s going to help move the company forward. 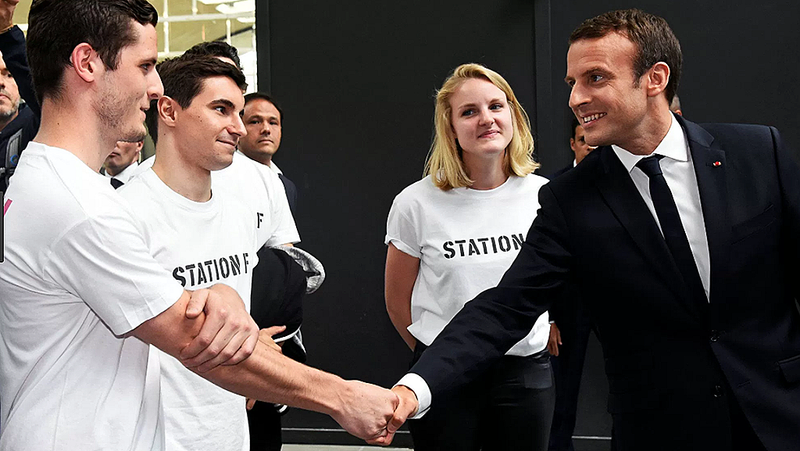 I want them to be able to come up with an idea and then, rather than having to go through a bureaucratic approval process, they can run with the idea and find people who’d like to join them. And from the overall company’s perspective, I want to add more innovation and productivity as we add more employees. It goes back to the city analogy. Another layer to that is that different mayors of different quality can come and go through the city, but the city stands throughout the change. In the same way the city isn’t dependent on a mayor, I’d ultimately like for Zappos’ future to not be dependent on me as its CEO. Feloni: Last year I spoke to John Bunch, head of the Holacracy implementation, and he essentially said that even if the company had to abandon Holacracy because it wasn’t working, the transitions that already were put in place would have been worth it. Is that something that you agree with? Hsieh: Yeah, although I wouldn’t really think of trying something instead of Holacracy as abandoning it. I would think of it as we’re learning that there are some things about Holacracy that are great and then some things that maybe aren’t the best fit for our culture. It would be like if I asked you, "Did Apple abandon the first iPhone?" You can either say they abandoned it or you can say they improved upon it over time. Feloni: You told me last year that fewer decisions require your approval now at the company. Now that Zappos is fully functioning as a self-managed organization with distributed power, how has your role as CEO changed? Hsieh: I would say in general, both historically and with Holacracy, I’ve always viewed my role as just kind of jumping around to wherever the organization needed me the most. And so over the past year and probably this year, as well, a lot of that is really focused on either Holacracy education or helping come up with systems or processes in this new world. Feloni: You invested $350 million of your own money into Downtown Project in 2012, with the goal of revitalizing 50 acres of downtown Vegas. How was that an outgrowth of the ideas that you were exploring for Zappos? Hsieh: When we first moved to downtown Vegas, we took over the former City Hall, which we’re sitting in right now, about two and a half years ago. And at the time this whole area was a lot more dangerous than it is today, and we wanted employees to be able to live, work, and play within walking distance of work. So the Downtown Project team and I wanted to help fund small businesses, tech startups, and a school and health clinic. Though Zappos and Downtown Project are entirely separate, I wanted to encourage Zappos employees to go out into the community and to encourage people in the community to come onto Zappos’ campus, to have more of those innovation-driving "collisions" with other people, businesses, and industries. Feloni: How do you feel about where Downtown Project is today? Hsieh: When we started, the goal was that by the end of year five, which is the end of this year, was to make a profit. Right now, we’re pretty close to being on track for that goal. The more interesting thing for me outside of the numbers is really, "Are small businesses and people not affiliated with us moving on their own to the area?" And the answer is, "Yes." One of our intentions was to get to the tipping point where they came here because they like the vibe we created. Feloni: You tried implementing Holacracy with the Downtown Project managing team, but they abandoned it in the fall of 2014. Were there lessons that you learned about implementing Holacracy and how it functioned that you were able to bring over to Zappos after trying it at Downtown Project? Hsieh: In that case the timing wasn’t right for Downtown Project. The team was trying to build something significant from the ground up while also trying to learn Holacracy. Whereas at Zappos, we have an existing business that, while we’re always trying to improve and so on, we’re not trying to figure out the entire business from scratch. We have more resources to figure out Holacracy. Feloni: What do you think it is about your personality or your experience that drives this constant need for experimentation and trying new things? Hsieh: There’s the creativity aspect of it, but it’s also rewarding for me to remove roadblocks to someone’s idea so that it can become reality. Feloni: Do you ever doubt yourself as you’re going through the ambitious projects you take on? Hsieh: I always doubt individual ideas, but I know that if you just do more of them, then statistically some of them are going to work. The ones that do work are the ones that you double down on. In some ways it’s analogous to playing poker, where if you only play hands that you’re absolutely sure you’re going to win, you’re not going to be the best poker player or win the most money at the table. On the flip side, that doesn’t mean you play every hand, because you’re not going to make money. I’ve always played, in poker and in business, for the highest expected value, and so even if there’s a 20% chance that something might work out, if the payoff’s going to be 10 times as much as you put in, then you should make that bet every single time. A lot of companies, especially bigger corporations, instead think, "Oh, 20% chance of success means 80% chance of failure — we should kill that project." I’d rather say we should do 10 similar projects and then two of those will work out. Those could be the two that completely change the company. Feloni: Was your decision to move from a spacious apartment into an Airstream trailer in the fall of 2014 one of those instances where you wanted to push yourself creatively? Hsieh: I did it because I wanted to maximize serendipity and randomness in my life. If you lived in a house in the suburbs, your neighbors and friends don’t randomly walk into your house, in the same way that everyone in the Airstream park interacts with each other. For example, two nights ago we had a bunch of musicians stop by, and Dan Reynolds, the lead singer of Imagine Dragons, starts a rap battle with another performer. That’s the type of situation you can’t plan for, but it happens all the time at the Airstream Park and generally happens a lot more in downtown Vegas than any other city I’ve been in. Feloni: At this point, you’ve been a public figure long enough for people to either consider you a genius or crazy. How do you see yourself? Hsieh: Probably neither. I don’t know. I just enjoy learning new things and then forming my own perspective of the world. By definition, because something I pursue is new or different, then it’s going to resonate with some people and not with others. Feloni: You’ve said in other interviews that Zappos was never to you just about selling shoes or clothes, but that it’s been about building a culture internally and with customers. What do you want Zappos to become? Hsieh: I would like it to be a whole new way of working and living that infects other companies. We like being at the forefront of newer things.